Oy. This pie is electric. 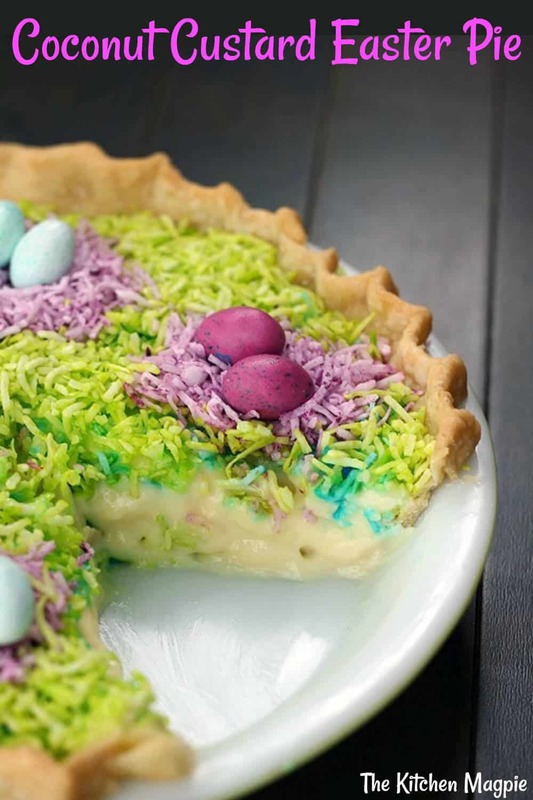 Electric colored to the point of almost making your eyes bleed but oh, did the kids ever think I was Super Mom for this Easter Pie! I had a huge surplus of colored coconut in my freezer thanks to Valerie popping by during Spring Break to make awesome Easter Basket cupcakes with the kids. She left a ton of coconut and icing which I promptly froze. I opened my freezer today to take out chicken breast for what turned out to be a sumptuous sweet potato curry soup and saw the coconut. I actually already had a pie planned for today, my Artichoke & Spinach pie that I whipped up last Saturday for brunch. 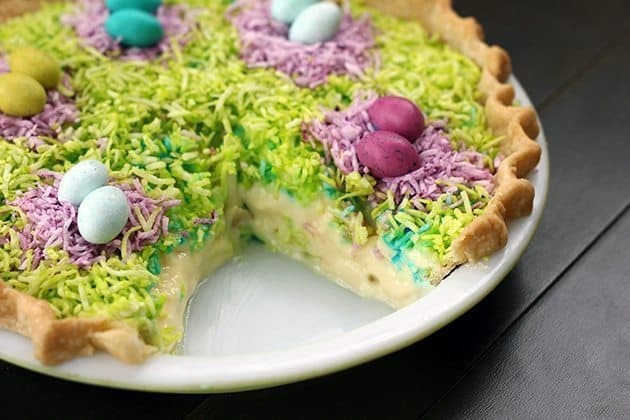 However as soon as I saw that coconut in Easter colors, I knew exactly what I was going to do. When I stopped to think a moment I realized that I already had 2 coconut pies on this site and this will make three, however they are all so different. This is your basic Old Fashioned coconut cream pie, Pamela’s version uses a ginger snap crust and Jeanne’s retro pie is completely crustless! This one has a pasty crust, I used cream and no coconut milk (this is what makes it old-fashioned) and some custard powder. I simply can’t believe I am only a few months in and have 3 completely different coconut cream pie versions. Is it me or is this one of the most popular pies out there? There’s not really any baking except for the fact that you need to bake your pie crust first and cool. Whisk together in a large saucepan the half and half, milk, yolks, sugar, custard powder, cornstarch and salt. On low heat slowly bring to a boil, this will take a good 10 minutes minimum depending on how hot you are cooking it at. Keep on stirring it making sure it doesn’t burn until the mixture is thickened up a lot. Stir in the coconut flavoring at this point. When it’s thickened pour it into the pie shell and refrigerate until cooled completely, a good 4-6 hours or overnight if you wish. Now, you can top it one of two ways. Make whipped cream and then top it with little sprinkles of the colored coconut or skip the whipped cream and put the coconut right on top of the filling. This way you can make the little nests that you see, otherwise it’s all going to just weigh down the whipped cream beneath and not work out. I’ll let you in on a little secret: I am so very excited to not cook this weekend. Yes, you read me right. 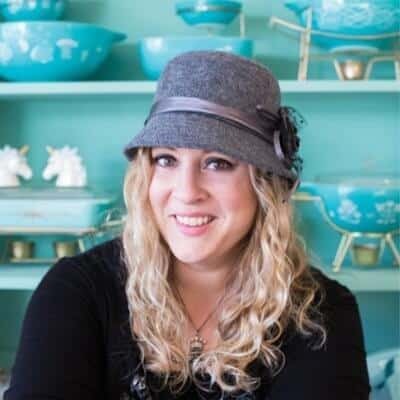 This food blogger is excited to not pick up a pan, not roast, baste or bake anything. I have been cooking and baking for the last week non-stop and the last thing I have in me is a large, extravagant meal with a large prep and clean up. The Four Points Sheraton here in Edmonton invited the family and I to attend their Easter brunch on Sunday to which I gleefully replied “Yes! Please!” knowing that was one meal that I didn’t have to make. If I plan it right, our bellies will be full the rest of Easter Day and snack on chocolate for dinner. The kids will have face painting, bunnies and magicians. 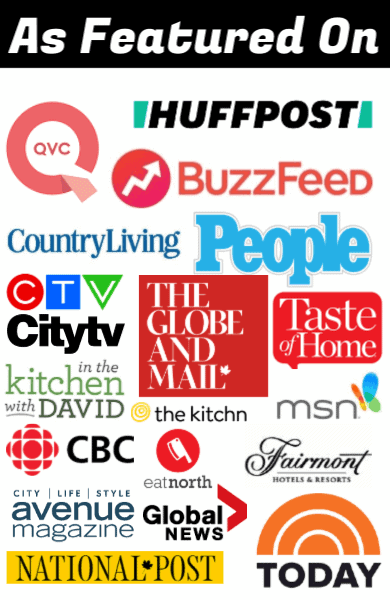 I will not have to cook and the Edmonton hotel famous for their Sunday brunch will cook for me. In the book of awesome, this rates a 10. If there’s some sweet, fruity alcoholic drink involved in there somehow we are going to skyrocket to a 12. My sister and my nephew are the only ones joining us this weekend which is the only reason I am getting away with not cooking a huge family dinner, having all the fam-damily over and entertaining. I do not get away with this ever. We do not eat out on Holidays. (notice that I capitalized Holidays). We eat either turkey or ham. We have recently broken that cardinal rule and leapt into the realm of prime rib the past few years. This took decades. Want to hear another family secret? The last time I ate out at a restaurant on a holiday was Christmas in Disneyland with my parents when I was about 12. It was turkey. It was bad even to a 12-year-old. So I am giddy like a school girl with excitement over sneaking this in, pulling the wool over my parents eyes, rejoicing in breaking the traditions. They’re in Arizona and missed this huge spring storm. I think they’re the ones laughing now, aren’t they. Have a wonderful, Happy, Blessed, Chocolate, Family-Filled Easter everyone! 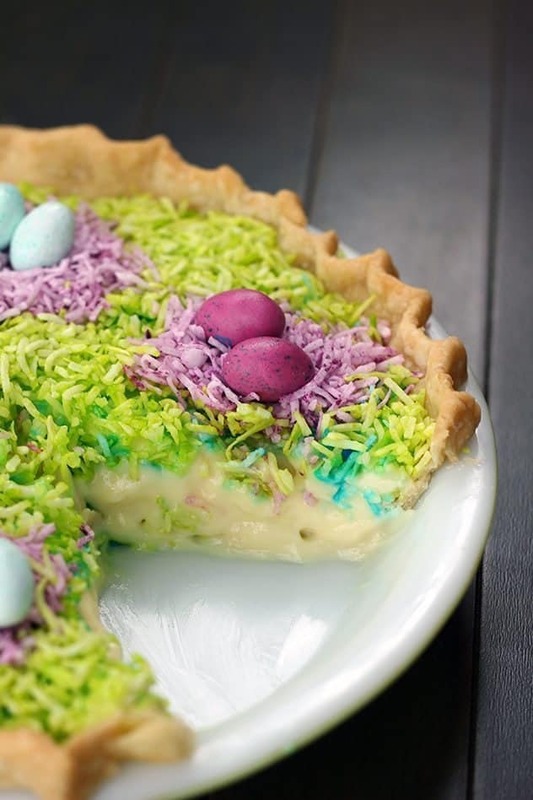 This gloriously colored Coconut Custard Easter Pie is sure to be the hit of your Easter dinner! Easy, fast and delicious! Whisk together in a large saucepan the half and half, milk, yolks, sugar, custard powder, cornstarch and salt. On low heat slowly bring to a boil, this will take a good 10 minutes minimum depending on how hot you are cooking it at. Keep on stirring it making sure it doesn’t burn until the mixture is thickened up a lot. When the mixture has thickened, stir in the coconut flavoring. Hi Ms. Magpie, thinking about making the coconut pie for Easter, but can you tell me what custard powder is? I’m at home in New Orleans for the holiday, and I’ve never heard of that and don’t see it anywhere here.